Ernest Pratt is a down-on-his-luck novelist whose books feature a heroic character called Nicodemus Legend. People start confusing Pratt with his character, especially when a scientist in Colorado (unbeknownst to Pratt) uses Legend's likeness and celebrity to help some townspeople engaged in a land and water dispute with a ruthless landowner. Pratt goes to Colorado and meets the scientist, and together they team up as Pratt begrudgingly accepts the part of Nicodemus Legend. I like the Coe character (the older, legendary gunfighter who is brought in to take care of Legend), and I enjoy the scene where Legend sits down with him in the saloon and convinces him that he could make more money by going into writing. The scene is a bit too long, and of course it's preposterous, but it's also entertaining and creative, and we get a look at some skills involving talking and persuasion that Legend brings to the table. Also he's wearing a pretty sweet hat and suit. The scene with Vera Slaughter (the landowner) and her son Silas at their dinner table is unnecessarily bizarre and uncomfortable. When we first meet Silas, it seems like he might be a capable villain and gunfighter, but that ends up not being the case. His low point is the scene at the table where Vera calls him out for not being half the man his father was. He storms away, but then she calls him back and then cuddles him in her bosom and talks to him like he's 6 years old, and then they briefly kiss on the lips. Just a weird scene. After this first episode, I assumed that these two characters and their storyline would be present throughout the whole season, but according to IMDB the two of them are not in any more episodes. It's been a while since I've written an episode recap of any kind, and it's fun to bring back the old MacGyver format, minus the "season" (since there is only 1) and "MacGyverism" sections. Right off the bat the style of music is extremely familiar. The composer, Ken Harrison, scored many MacGyver episodes beginning in season 3, and the similarities here are very evident. The gunfight in the beginning is a good way to start the episode (even though it's part of Pratt's book and not actually happening). Unfortunately it's one of the rare action scenes we'll see over the course of the 90 minutes (more on the episode length later). I'm not someone who needs an overabundance of action, but I found the episode to be slow. In RDA's first scene, we see him taking a shot of whiskey -- clearly this is a very different character than the teetotaling MacGyver. We also get a glimpse of RDA's sense of humor (which John Considine, who served as story editor for Legend, recently talked about in my podcast) in a way we didn't see when he played MacGyver as the straight man. Speaking of RDA, I have no idea what he's doing with his "accent" which seems to change from scene to scene. And then for some lines he has his natural voice (which I think I'd prefer, even if it makes him seem less zany). They could have somehow indicated that the Colorado town was actually the same ghost town from Target MacGyver. When the little village girl looks up at him in admiration, he could give her a doll made from socks like in Slow Death. When the Hungarians were dancing, they could have brought back some characters from Thief of Budapest. The mystery in the first half of the episode is good in that it makes the viewer wonder what is going regarding Legend's supposed appearance in Colorado. What he really there before or not, and what is the explanation? A good hook. About midway through we get our first glimpse of Janos Bartok, the brilliant experimental scientist played by John de Lancie, who MacGyver fans will remember as the sinister "Brother Brian" from The Escape. Well, if you can't beat 'em, join 'em, so now his character and RDA's character are on the same side (unless they're setting us up for a double cross!). I think de Lancie is an excellent actor and does a nice job with the Eastern European accent (especially considering he's American), but I do feel like it would have been good for the script to include a little more background and context on the Bartok character, like what exactly is he doing in his science lab and what are his motives? It is only the first episode, so maybe those answers will be given in time. I was watching this DVD on my television (so there was no indication of the time remaining), and I kept waiting for the episode to end but it kept going on and on! For a minute I thought maybe I had accidentally selected Play All Episodes. It's interesting that they have 6 episodes on 1 DVD, including one that is 90 minutes. I wonder if other shows that have 4 episodes per DVD do that so that there are more DVDs to appear that there is more content. How about poor Thomas Edison getting thrown under the bus for sabotaging Bartok's life and career! Funny scene at the end where Legend and Bartok are in the balloon basket getting the hang glider ready, and then a minute later the female lawyer appears in the basket out of nowhere. I was watching this with my wife who said, "where did she come from?!" After Legend punches out Silas, I was really curious to see if there would be a shake. Sadly, there was not. And I didn't get why Legend was running away from the horse -- wouldn't he be happy to see the horse since he and the little girl were in the middle of nowhere? Good scene at the end when Legend notices the lawyer cozying up with Coe, and he (Legend) has a look of regret, like maybe he would have had a chance with her. Surprising to me that she and Coe, like the Slaughters, are not in any more episodes. While the episode was unfolding, I thought for sure they were setting her up to be a love interest for Legend. All in all, this first episode didn't do much for me. It was fun to see RDA, and I like westerns in general, but I didn't find it particularly engaging, humorous, or suspenseful. It was also fairly slow and light on action, and I had to think for a bit to come up with my highlight -- there wasn't one that jumped out at me. On the other hand, it was well filmed, well acted, and had good special effects. For now, since it's the only episode of Legend I've seen, it goes to #1 on my list of favorite episodes! IIRC, the primary reason there's not a lot of 'MacGyver' references or things that remotely resemble MacGyver in 'Legend' is b/c RDA wanted to get away from the squeaky clean image and do something different. Legend is pretty much the polar opposite of MacGyver... minus actually being evil. He's just mostly indifferent. Poor Thomas Edison though, he gets beat up a lot in pop culture. He takes a hit in "The Prestige" too, since Danton goes to see Tesla for his invention. I can understand why RDA would want to move away from MacGyver after playing him for 7 seasons. I was mostly kidding about wanting MacGyver references (especially Danny holding a golden eagle), but if I was a writer on the show I may have tried to sneak one in. I'm glad to hear that some of the later episodes are better -- the fact that this one is 90 minutes helps contribute to the slowness factor. The Prestige is a great movie! Even features appearances from MacGyver villains Christopher Neame and W Morgan Sheppard. There might be Mac references in the show, but, I'd have to watch 'em all again to be sure. de Lancie is awesome and a really laid-back guy. Though, I was super busy doing staff things at the con he was at, so I didn't really get to talk to him much. I read your review in full just as I finished watching the premiere and found that I agreed with most everything you wrote. Aside from the great and familiar Ken Harrison music, the best scene for me was also the scene where Pratt/Legend talked Coe into giving up gunslinging and becoming a writer. I kind of wished they'd have ended the episode there as the remaining half hour had a hard time holding my attention. I suppose they needed some action scene closing but it all kind of just plodded along. The pyrotechnics on the dynamite explosion were pretty impressive amidst the plunging budgets that weekly TV shows experienced in those lean mid-90s years. The hot air balloon work was a staple of this series as my limited memories of it seemed to include some sort of hot air balloon gimmick closing nearly every episode I saw. It wasn't without its attractions but I think a traditional and more condensed hourlong pilot (45-48 minutes excluding the commercials) would have served this series better as there were several scenes that dragged on rather aimlessly. I agree that the scene with Vera and her son was weird and undermined his villain potential. Maybe we'll see more of this dynamic in the episodes ahead that works better in terms of the storytelling dynamic. Looking forward to seeing if the series improves but thus far it's definitely in the "two-star" category that I remembered of my initial impression in 1995. The only thing I didn't really agree with you about was that I didn't think it would have served the show to try to include subtle "MacGyver" references. I suppose it would have been fun to sniff these things out for "MacGyver" obsessives but I think they'd have confused new viewers and probably wouldn't have been picked up on even by most casual "MacGyver" fans that were tuning in because of the RDA legacy. 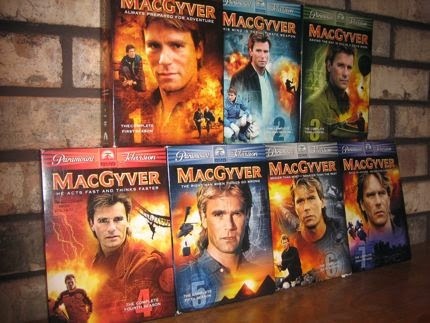 I thought the Ken Harrison music brought the only "MacGyver" legacy factor needed. Glad to have you back on board -- feels like old times! I guess I'll assume that this is your #1 ranked episode as of now? :) I will update the overall "Legend" page with your rankings as we proceed. Interesting that we agreed on everything. I wasn't actually serious about the MacGyver references (it was a joke that fell flat) - while it would have been fun for me (and probably only me) to see little things like that, I wouldn't have thought that they should actually do that for the reasons that you suggested. Ah yes...it appears your joke was wasted on my unrefined sense of humor. And yes this is thus far my #1-ranked episode. What did you think of RDA's voice/accent? Was it me or did you also find it distracting and ever-changing? I think that much as RDA loves being in Westerns, it's not his genre. His voice and mannerisms in the two MacGyver Westerns were all over the place as well. Just seems like he feels compelled to ham it up too much. Nicholas also wondered why Legend was running away from the horse at the end. It may not be completely clear in the beginning of the episode, but Pratt has a "thing" about horses. He doesn't like them, and avoids them. In the scene at Mr. Fat's restaurant, his explanation is "You know how horses feel about me," but it seems, both in that scene and at the end, that horses like HIM just fine. This is a running gag through the series, especially since Legend doesn't share the aversion to horses. That's why, when "Legend" appeared to the farmers and moved the river, Pratt remarks later, "Ah, riding a horse, was I?" My copy of the DVD's now been shipped so I'm looking forward to joining in soon! I agree with everyone so far; its much too slow and would have been better condensed but in some ways, because the whole concept and background is quite complicated, there would be too much to fit in to one normal episode. Don't worry Nicholas, I did get that your 'MacGyver references' idea was a joke! But ironically, the show does, in some ways, perpetuate the Macgyver legacy; the heroes rely on inventions of a non-violent kind to defeat the villains, the 'hero'( albeit pretend) is clean-living, science is to the fore and the script references both science and literature throughout, including a speech from Shakespeare's Richard II 'to sit upon the ground and tell sad tales of the death of kings'. The only problem is I can't quite work out who the audience is meant to be; the science, the complicated concept and some of the surprisingly adult, innuendo etc might appeal to a grown-up, well-educated audience but not sure whether they would enjoy the numerous descents into hamminess and the almost slapstick aspects. I think the genre is Steam punk (wacky inventions, 19th century setting, Gothic lab) in a Western setting which may be too 'niche' for some. I like the running gag about Pratt and horses and I too enjoyed the scene where he persuades the gunfighter to take up writing instead. The early scenes with Pratt and his agent and in the barber's were also amusing. 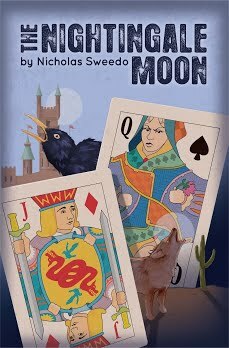 Ernest Pratt is obviously knowledgeable, literary and silver-tongued but it takes us a while to discover that - which I think is partly the point - being Nicodemus Legend gradually brings out the better qualities he has hidden beneath a mask of cynicism and dissolution. I quite enjoyed one of the slightly more serious scenes; in the bar where Bartok explains more about his background and Pratt becomes slightly introspective and fatalistic and felt it was a welcome relief. There are some good ideas and lots of inventiveness but I do feel the execution is flawed at times and like you all, I'm lukewarm so far. Good analysis, and I agree with it all. I'll make a spot for your rankings on the main Legend page! I remember watching one or two episodes of this show, but I barely remember anything. It's just the kind of show my parents would have loved, and I probably enjoyed it as well. I think I recall my father being upset at hearing it had been cancelled.